Some days of observance are pretty well known – for example, Remembrance Day, World Poetry day and International Talk like a Pirate Day (which maybe isn’t as famous but arguably should be). But there are also days that may not get as much recognition but still promote important issues. Even more important than talking like a pirate. Today is Data Privacy Day, and a reminder – especially in the year of data, and following the Snowden and NSA revelations – just how important it is to keep our information safe. Data Privacy Day commemorates the signing of the first legally binding international treaty dealing with privacy and data protection in 1981. And nearly 30 years later – according to the 2013 IT risk/reward Barometer from ISACA – even though nine out of ten of us worry about our information being stolen, half of us use the same two or three passwords across all our accounts. More recently 20 million people in South Korea have been hit with credit card information theft, which is a terrifying two fifths of the country’s population. In some cases as many as 21 kinds of personal information was stolen, from name and social security number, to credit card information and credit history. Secure your devices – make sure you’re not throwing your private information about like a cowboy in a rodeo. Your passwords should ideally be long, strong and different for every account; and remember to shield your information from prying peepers when inputting them. Extra protection – enable two step authentication so your password isn’t the only thing protecting your account; for example, using an ATM is two step as you have to give your card and provide your pin too. Get ‘appy – make sure you know what information is being passed about before you download a new app, especially considering recent claims the NSA are even spying on you when playing Angry Birds. Just imagine those birds as speeding, feathery bullets of your personal information. Back up – store digital copies of valuable work, music, photos and other information important to you on an external hard drive or cloud. 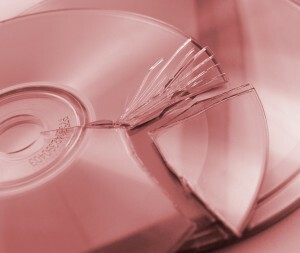 I once lost 7,000 songs in what I’ve come to call The Great Crash of 2008. It was a really dark time. Educate yourself – have a look at the tools and information online to help you protect yourself, for example, Cyber Street Wise. When you consider how important data is to our businesses and our home lives, every day needs to become Data Privacy Day. Even if it’s Talk Like a Pirate Day, it should also still be Data Privacy Day – you can just talk about your ‘arrd drives instead. When it comes to any data you have with us you can rest easy; as our CEO Lawrence Jones says, ‘Simple things like investing in a firewall can make a lot of difference. On our network everyone is behind a firewall because we see it as the bare minimum of protection.’ To have a chat about your security options give your account manager a call, or our sales team on 0208 045 4945. We’ll leave you with a few top tips from our Round Table panel of experts. What are your tips for protecting your data?